Connect all your accounts and information for an organized, consolidated view. See if you’re on target to pursue your most important financial goals. 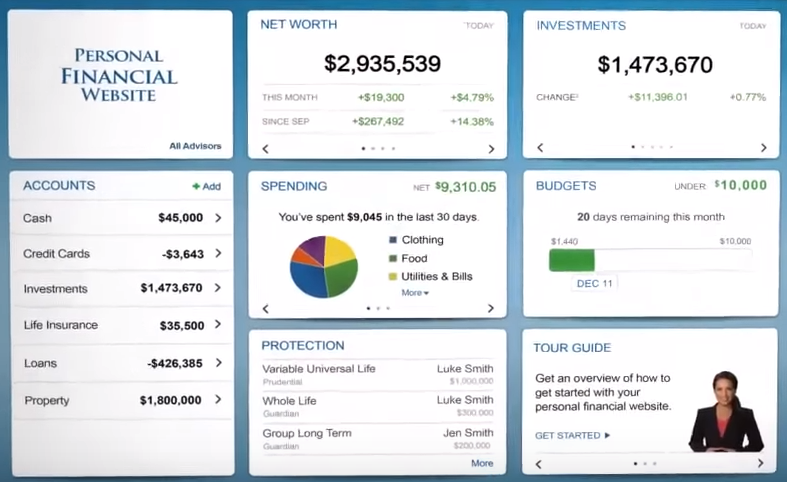 Your own library of videos, articles and resources to increase your financial knowledge . Safely store your most important documents for quick and easy access. Your net worth is calculated and updated daily. Know how much you’re spending and where. Set budgets to help you reach your savings goals. Interactive charts and detailed views provide you with increased visibility into your accounts.